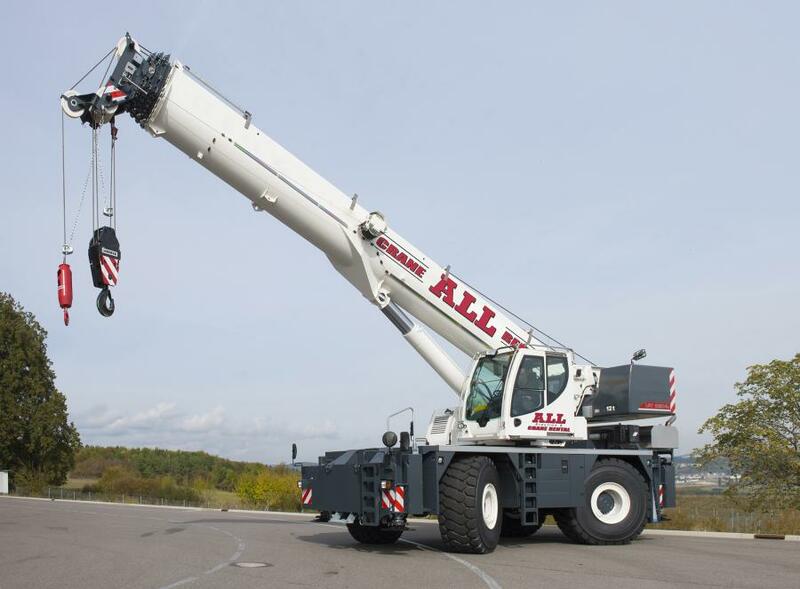 Respected German crane manufacturer Liebherr has re-entered the rough-terrain market. Knowing their reputation for quality, and impressed by the new line's capabilities and robust safety features, the ALL Family of Companies has pre-ordered 15 machines. The LRT 1090-2.1 is a 100-USt full power boom crane, set to debut at the 2017 CONEXPO-CON/AGG show (March 7–11, Las Vegas). The LRT 1090-2.1 blends the latest in safety with the reliability and innovation for which Liebherr is known. The manufacturer's exclusive VarioBase® outrigger monitoring system enables each support to be extended to a different length while automatically delivering support status information to the operator. It's ideal for maintaining safety and flexibility in the tight spaces often encountered in today's urban and industrial jobsites. It also allows for greater capacity when lifting over the supports. The crane seamlessly incorporates forward-thinking safety features into a sleek, modern package. The flat deck, electrically extendable cab platform, and multiple ladders minimize the risk of fall injuries. Controls are intuitive and easy to understand. The attachment of the counterweight and installation of the jib are fully monitored by the crane during setup. “Safety will always be our number one priority and these features help the customer get the safest and strongest machine available in its class,” said Strader.